Modern 7-passenger SUVs deliver an excellent blend of robust towing capability, powerful performance, comfortable and spacious interiors, and innovative technology. Offering much more than brute strength and generous size, these impressive vehicles give drivers the ability to bring more passengers and more cargo along to their favorite destinations. Perfect for families or those with active lifestyles, we present the Top 10 Best 7-Passenger SUVs for 2019. (Listed alphabetically to prevent arguments). Featuring striking body lines and spacious seating for up to 7, the 2019 Audi Q7 offers a balanced combination of elegance and capability. 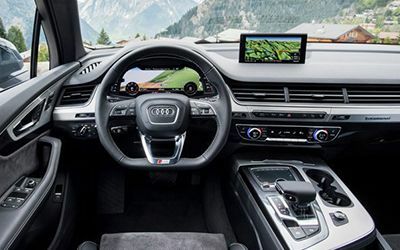 Standard on the Q7 is the legendary Audi quattro® all-wheel drive system along with an optional supercharged TFSI® V6 engine, which delivers an impressive 329 horsepower. When equipped, the Q7 is able to tow up to 7,700 lbs and maneuverability is effortless thanks to the optional Top View Parking Camera System. Safety remains a top priority, with available collision avoidance assist technologies and Audi pre sense® city with pedestrian detection. Easily navigate stop-and-go traffic with available traffic jam assist. Hear your favorite music like never before with the optional Bang and Olufsen® 3D Advanced Sound System with 23 speakers for an audiophile-grade experience. 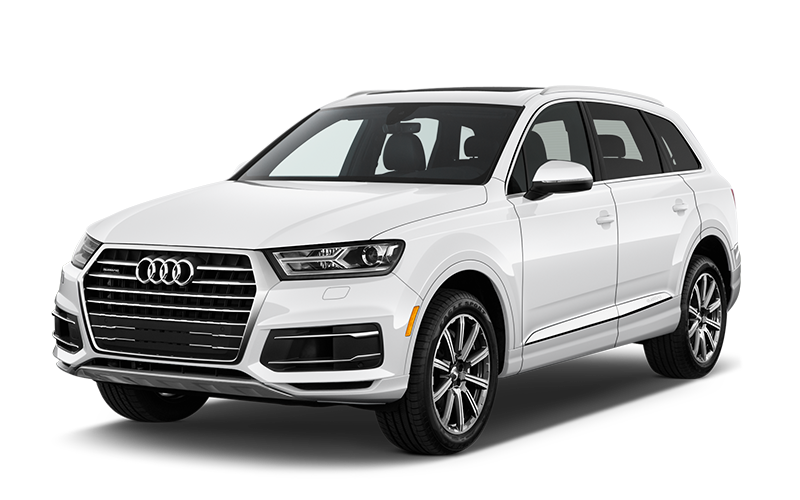 Awarded with a 2019 5-Star overall safety rating by the NHTSA, the Audi Q7 is a fantastic choice among 7-passenger SUVs. 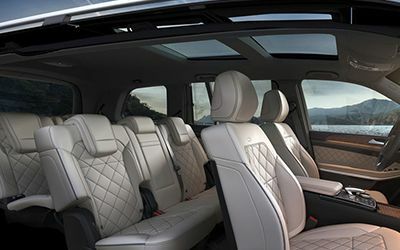 The 2019 Cadillac Escalade was engineered to defy expectations of what an SUV can do, through an elegantly crafted balance of technology, sophistication, and functionality. Dramatic exterior body lines are complemented by a stylishly bold grille framed by all-LED signature headlamps that feature five crystals, fully stacked. 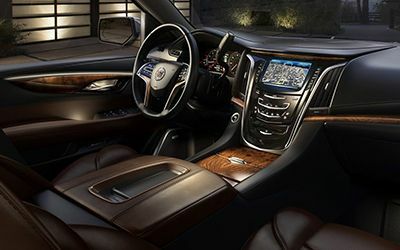 Unmatched levels of refinement make the interior of the Escalade truly remarkable. Acoustic front glass, Bose Active Noise Cancellation, Tri-Zone Climate Control, and available multi-directional massaging front seats are only a handful of the impressive interior highlights. Standard power on the Cadillac Escalade is a class-leading 6.2L 420 horsepower V8 with an intelligent 8-speed automatic transmission. 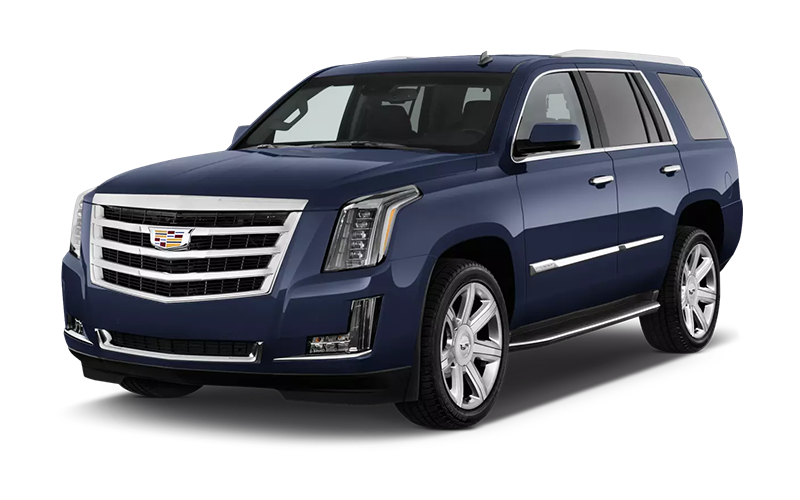 Available with an 8,300 lb towing capacity, Magnetic Ride Control suspension, Stabilitrak traction control, and 4-Wheel Drive, the 2019 Cadillac Escalade provides an ideal blend of luxury and capability. 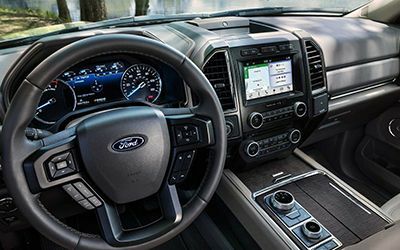 Available in two lengths to suit the needs of your growing family, the Ford Expedition remains a serious contender in the full-size SUV market. 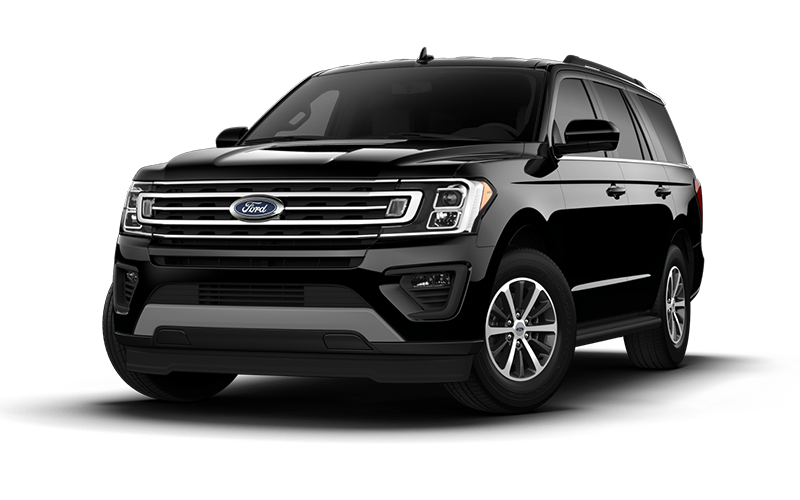 The Expedition comes standard with a 3.5L EcoBoost® twin-turbocharged V6 engine producing 375 horsepower and 470 lb-ft of torque. This robust power contributes to the best-in-class 9,300 lb max towing capacity for the Expedition, allowing you to bring all of your gear along for the adventure. Seating for up to 8 passengers, massive third-row legroom, along with heated and cooled front passenger seats are only a few highlights of the impressive interior. 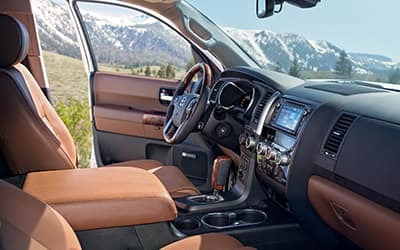 SYNC® 3 infotainment is optional on the Expedition. SYNC 3 offers high-speed performance, enhanced voice recognition, a capacitive touchscreen with swipe capability, available navigation with easy destination entry, and pinch-to-zoom functionality. An available 360-degree camera with split-view display uses four cameras, enabling you to see all sides of the vehicle on the eight-inch color LCD screen. The Terrain Management System™ allows the driver to select from up to seven preset modes to optimize driving dynamics for road conditions. 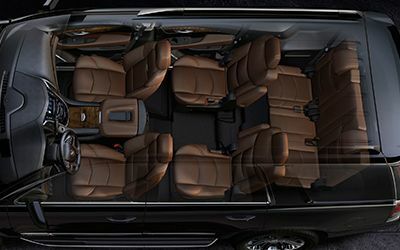 Ford Expedition is an ideal choice for large families that are always on the move. Divers searching for a third-row SUV that offers athletic driving dynamics and luxurious refinement need to experience the 2019 BMW X5 for themselves. 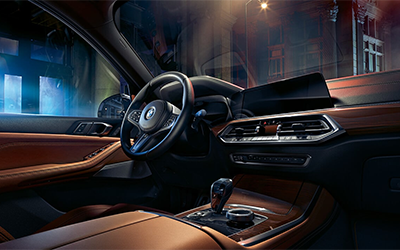 When equipped with an optional third-row, standard amenities found on the X5 include a Sport Automatic Transmission with launch control, Dynamic Damper Control, BMW Live Cockpit Professional with navigation, two 12.3-inch digital displays. 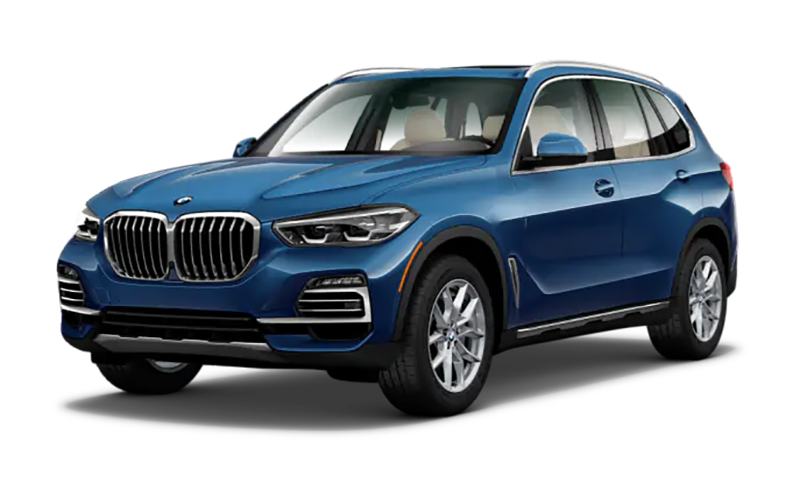 he BMW X5 is available in a variety of engine variants including a 3.0-liter BMW TwinPower Turbo inline 6-cylinder and a potent 4.4-liter BMW TwinPower Turbo V-8 engine. Available Dynamic Performance Control and xDrive intelligent all-wheel drive system give X5 drivers the ultimate confidence when tackling harsh terrain or inclement weather conditions. Inside the X5, drivers will be greeted with optional 20-way multi-contour leather seats that conform to your body with nearly limitless positioning options. The Surround View parking system gives you a bird’s-eye perspective of the area behind and on either side of your vehicle. Optional WiFi Hotspot connectivity and wireless charging will keep all of your passengers connected and content. 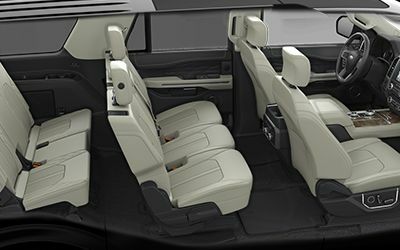 The X5 boasts rear seats which split 40/20/40, folding away to convert 33.9 cubic feet of trunk space into a full 72.3 cubic feet. Beyond its full-size stature, the Infiniti QX80 expresses confidence in the clarity of its curves and sculpted body lines. Engineered to deliver greater power and increased fuel efficiency, the standard 5.6-liter V8 produces a massive 400 horsepower and 413 lb-ft of torque and has the capability to tow up to 8,500 lbs. A dedicated Tow Mode transmission setting and Rear Auto-Leveling Suspension help make it possible to bring all of your gear along for any adventure. 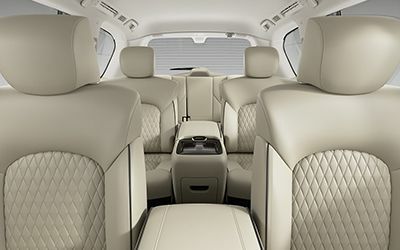 Luxurious interior appointments available on the Infiniti QX60 include semi-aniline leather seating surfaces with silver contrast and piping, power 60/40-split fold-flat and reclining third-row seats, Tri-Zone Automatic Temperature Control system, and rain-sensing variable intermittent front windshield wipers. 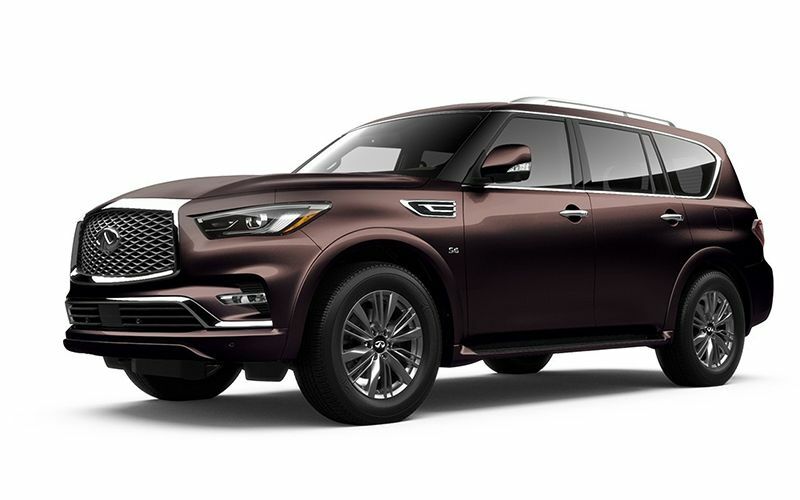 QX80 has a host of innovative technologies designed to make driving safer. For example, the Adaptive Front lighting System helps improve visibility at intersections and around curves by sensing your steering and turning the headlights. The Around View® Monitor with Moving Object Detection makes it easier to see and maneuver in even the tightest spaces. 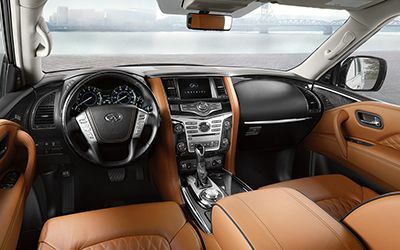 Seat eight passengers in complete comfort as you head out for your next journey in the remarkable Infiniti QX80. Whether it’s an urban landscape or rugged terrain, the 2019 Lexus GX takes you there in lavish comfort and style. 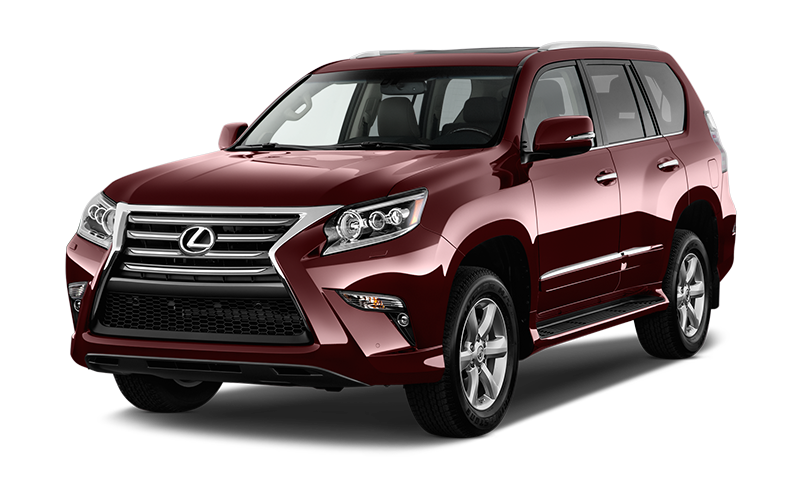 Built for adventure, the GX features a 4.6-liter V8 engine that delivers 301 horsepower and 329 lb-ft of torque. Tow up to 6,500 lbs with complete confidence thanks to the Trailer Sway Control system which helps detect and reduce excessive trailer movement. 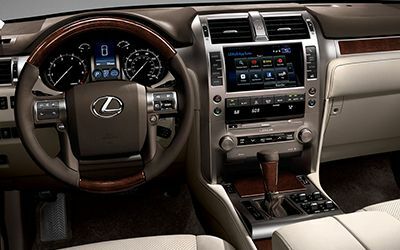 Relax in the serene interior of the Lexus GX, which offers 10-way power-adjustable front seats, three-zone climate control, and optional power flat-folding third-row seats. 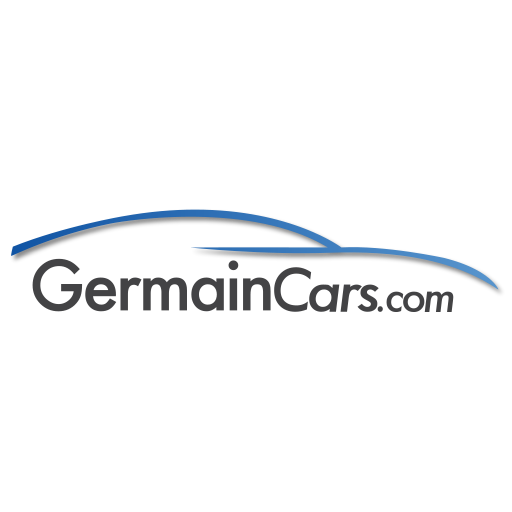 Available Lexus Enform offers unrivaled connectivity through an integrated smartphone app with remote functions, vehicle service monitoring, along with push-button roadside assistance. With seating for up to seven passengers, GX offers crowd-pleasing amenities including the available dual-screen Rear-Seat Entertainment System and Mark Levinson Premium Surround Sound Audio System. Stand out from the crowd with the all-new Sport Design Package, which features unique 18-inch Gunmetal Metallic alloy wheels, chiseled front fascia, and darker rear taillamp housings. 4.6 liter V8 engine with 301 horsepower and 329 lb-ft of torque. 6,500 lb max towing capacity. 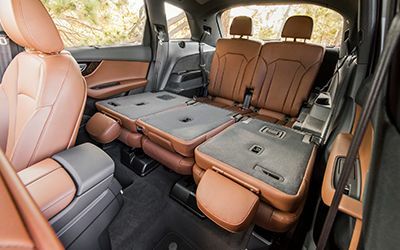 The 2019 Honda Pilot offers a sleek profile and versatile design that boasts seating for up to 8 passengers with up to 83.9 cubic feet of cargo capacity. 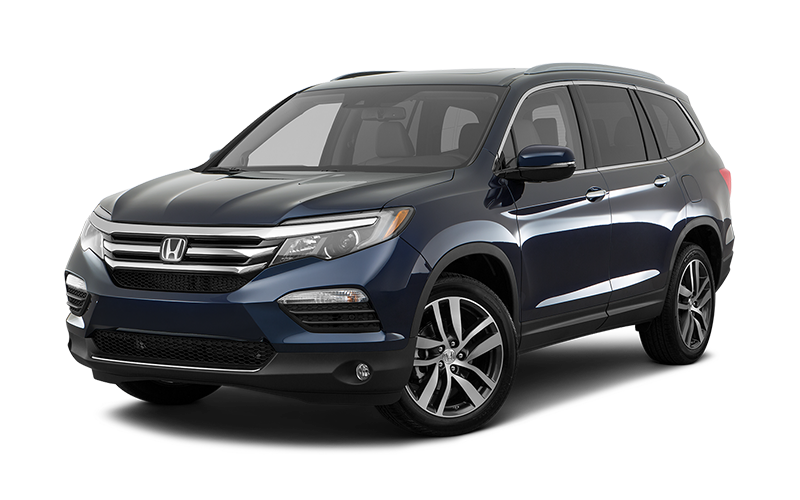 Available intelligent Variable Torque Management AWD paired to the standard 280 horsepower 3.5-liter i-VTEC® V-6 engine makes it easy to discover new adventures in the Honda Pilot. When properly equipped, Pilot is able to tow up to 5,000 lbs. The handy Dual-Position Reversible Cargo Lid provides space for taller items or flip it over to keep the carpeted side clean when carrying wet or dirty cargo. 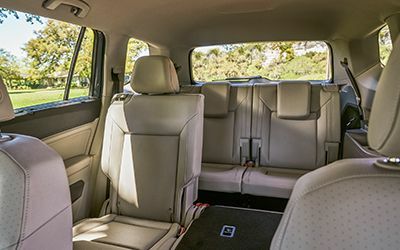 Rear-seat passengers can watch the miles fly by through the optional Panoramic Roof or enjoy high-definition entertainment via the available Blu-ray Rear Entertainment System. Access to the third row is convenient, with easy-to-reach one-touch buttons. 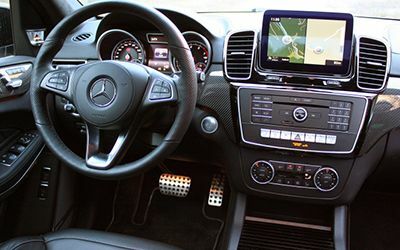 Available Apple CarPlay and Android Auto smartphone integration gives drivers access to a wealth of information ranging from Google Maps to several other popular apps. 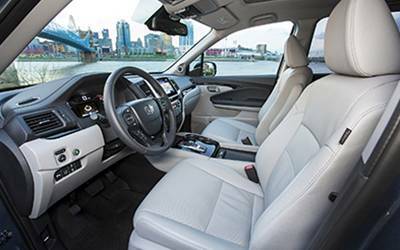 Honda Pilot continues to be a favorite among the 7-passenger SUV segment. When it comes to being ready to face any challenge, providing unrivaled comfort, and keeping your family safe, the 2019 Mercedes-Benz GLS is engineered to exceed expectations. GLS offers a plethora of engines including the V6 turbo diesel, gasoline V6 and V8 biturbo, or the handcrafted AMG V8 biturbo. 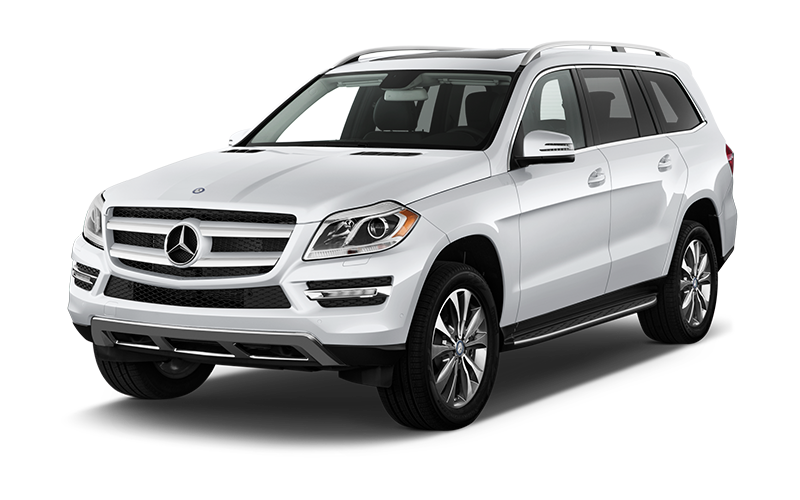 Efficient 4matic® all-wheel drive provides precise traction during harsh weather conditions. Optional self-leveling height-adjustable AIRMATIC® air suspension provides a comfortable ride for all passengers, while also working in tandem with Trailer Stability Assist to help minimize trailer sway while towing. EASY-ENTRY. 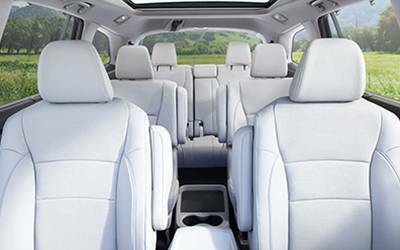 The versatile interior of the GLS goes from seating seven adults to 93.8 cubic feet of cargo capacity in a matter of seconds. Sequoia rides on a fully boxed frame for unmatched strength and durability, along with an available 381 horsepower 5.7L V8 with up to 7,400 lbs of towing capacity. Available Trailer-Sway Control (TSC) is engineered to apply brake pressure at individual wheels and manage engine torque to help the driver keep control of the trailer. A massive 120.1 cubic feet of cargo storage means that Sequoia is ready for your next camping trip or beach vacation. 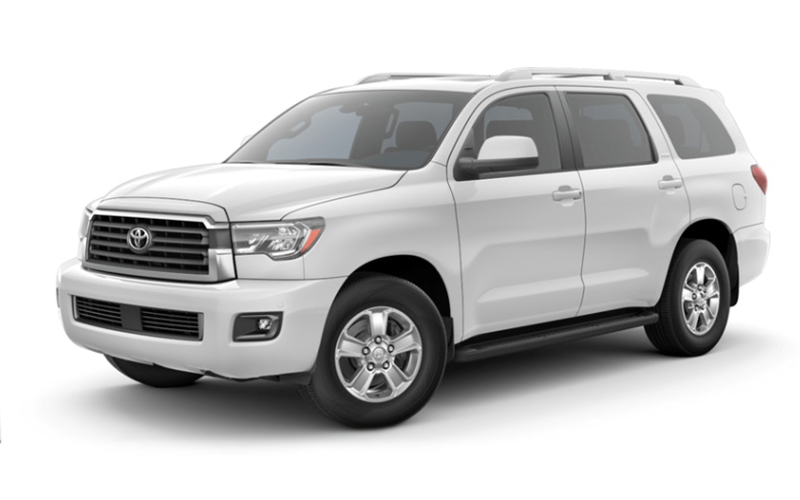 Toyota Sequoia Platinum offers a range of features sure to be appreciated by even the youngest passengers. 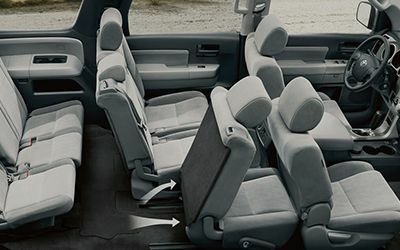 Front passengers can relax in the available heated/ventilated seats while those in the back seat can enjoy the standard rear-seat Blu-ray Disc™ player. 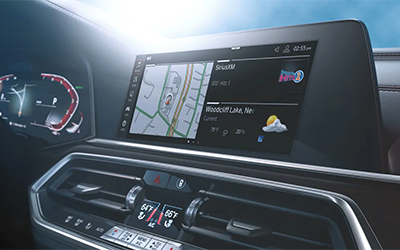 The available new Entune™ Premium Audio system with Integrated Navigation and App Suite gives drivers a fully connected multimedia experience. An available power liftgate and power reclining and fold-flat third-row seat makes settling in for the long-haul a breeze. No matter your destination, Toyota Sequoia gets the job done and helps you live the lifestyle you love with room to spare. From a short trip across town to a weekend getaway, the Volkswagen Atlas is ready for it all. An available 3.6L V6 FSI® engine produces 276 horsepower and 266 lb-ft of torque, more than enough to take you anywhere without breaking a sweat. Available 4MOTION® all-wheel drive with Driving Mode Selection gives Atlas drivers the ability to switch between four different modes with the turn of a dial. When equipped, Atlas boasts a robust 5,000 lb towing capacity for bringing even your largest toys along for the journey. Drive in complete confidence knowing you’re backed by America’s Best SUV Bumper-to-Bumper Transferrable Warranty*, with coverage for 6 years or 72,000 miles, whichever comes first. 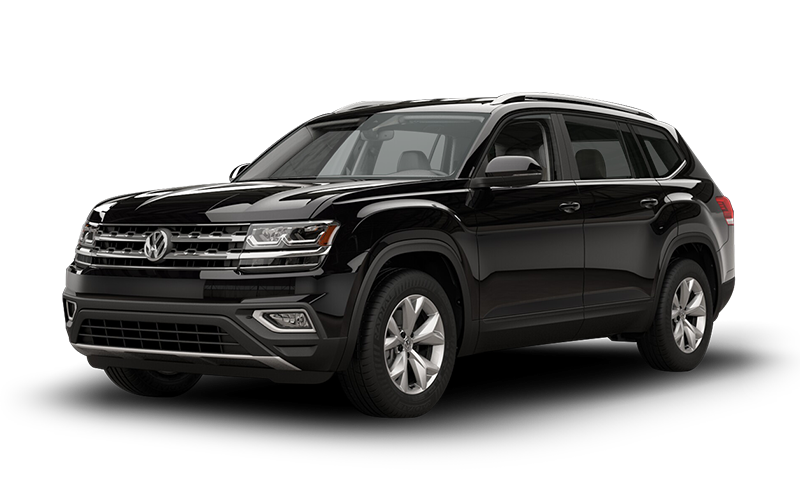 Volkswagen Atlas was designed for large families on-the-go and offers a wide array of helpful features. Kick your foot under the rear bumper of the Atlas to open the Hands-free Easy Open power liftgate to reveal a cavernous 96.8 cubic feet of maximum cargo space. An available Rearview Camera System makes parking effortless and Altas drivers can warm up their vehicles on chilly winter morning with the remote start system. 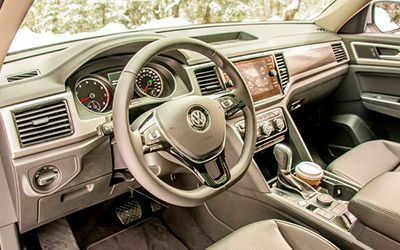 VW Car-Net App-Connect lets you link your compatible smartphone with Apple CarPlay™, Android Auto™, or MirrorLink® to use select apps on the touchscreen display of the Atlas. *MY2019 Atlas 6 years/72,000 miles (whichever occurs first) New Vehicle Limited Warranty. Based on manufacturers’ published data on transferable Bumper-to-bumper/Basic warranty only. Not based on other separate warranties. See owner’s literature or dealer for warranty limitations.